REGION — In less than six months, California will begin to enact new statewide water conservation laws. 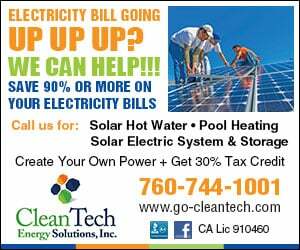 Senate Bill 606 and Assembly Bill 1668 call for new urban-efficiency standards for indoor and outdoor uses, water lost to leaks and appropriate variances. 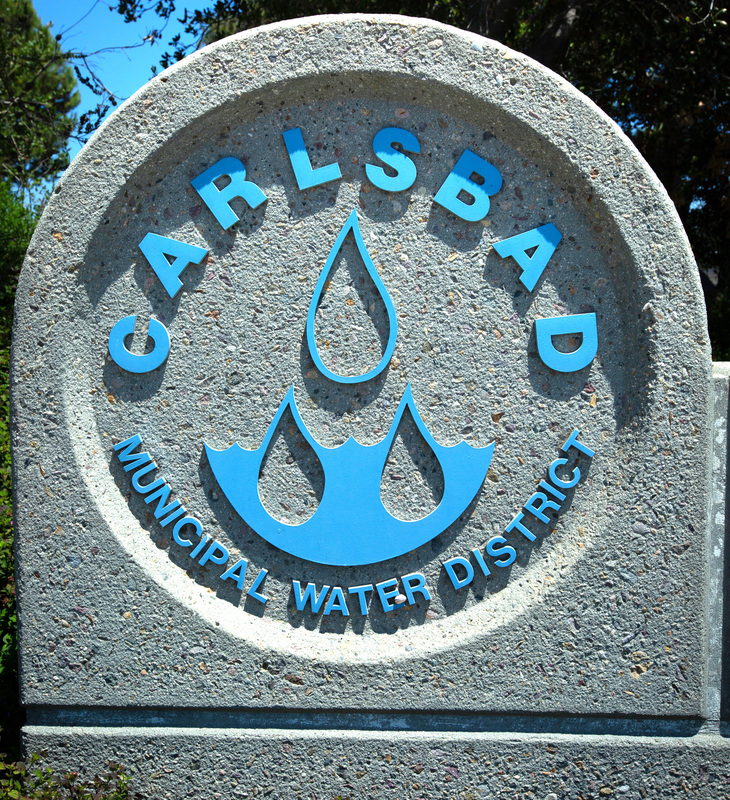 The bills will take effect in 2019, although there will a grace period before enforcement, according to Mario Remillard, water conservation specialist for the Carlsbad Municipal Water District. Additionally, water agencies are required to stay within their water budgets regardless of current drought conditions. However, the California State Water Board will not enforce these standards until November 2023. The new laws and regulations do not apply to individuals, just water agencies, according to the city of Carlsbad’s website. The bills direct water agencies to limit customers’ indoor water use to an average of 55 gallons per person each day. The goal is reduced to 52.5 gallons by 2025 and 50 gallons by 2030. Outdoor water-use goals will also be established. 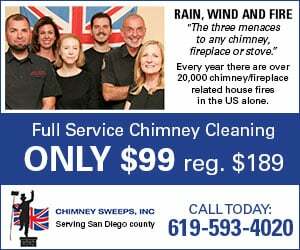 For example, according to the city, the Alliance for Water Efficiency estimates a family of four would use 60 gallons per person, per day if they lived in a home with old and inefficient toilets, faucets, shower heads and dishwasher, as well as a 40-gallon washing machine. Also included are four eight-minute showers, a load of laundry and a load of dishes each day. If the same family replaced only the washing machine with a high-efficiency model, use would decrease to 54 gallons per person per day. The new legislation also incentivizes the use of recycled water, which Carlsbad has been proactive in establishing its system. The city is one of the largest per capita users of recycled water and doubled the size of its water recycling facility in 2016. In addition, the state has incentives for agencies providing recycled potable water, although Carlsbad’s recycled supply is for irrigation and other non-drinking uses. Other water agencies in the region have projects to develop new drinking water supplies from recycled water, according to the city. Wholesale water suppliers, such as the San Diego County Water Authority, must also meet new requirements for water-shortage planning and water-loss reporting. If an agency fails to stay within its water budget, the state could impose fines up to $1,000 per day fines or up to $10,000 per day during a prolonged drought emergency. Since water rates reflect the actual cost of providing water service, these fines would trickle down to individual ratepayers eventually. Enforcement is not expected to begin until the year 2021 at the earliest. Does anyone else find it ironic that the article details the “erroneous reports” from conservative blogs and talk radio shows but then goes on to explain in great detail how the regulations will be placed on the water districts not the individuals, and they are to set up their own ways of enforcing this and ensuring compliance…Like as if anybody cares whether its the district or the state who is telling us we can’t flush the toilet, take a shower, or heaven forbid…water the lawn!! This state has just completely lost its mind..
To say or report an individual household could be fined $1,000 per day was not correct for sure. But any fines placed on the water purveyor will be paid by customers in higher rates if fines are significant. Just like what California purveyors have experienced in recent times trying to satisfy unfunded treatment mandates.